You might remember a few weeks ago when I was battling the relentless bermuda grass that continually encroached on this bed. 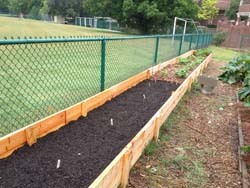 The school paid to have a raised bed built around it. 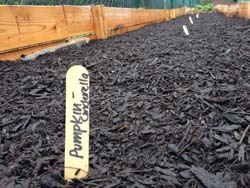 Immediately after the construction was complete I filled a third of the bed with compost / soil and planted bush beans. The remaining two thirds of the bed still had onions that were not yet ready to be harvested. 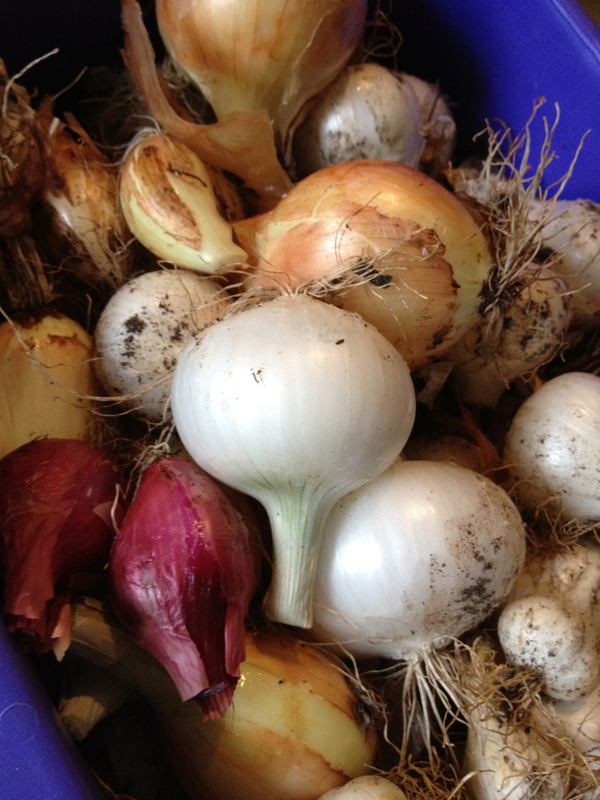 Last week I harvested the onions. So, based on the fact that filling the original third of the bed made me quite sore for days and was hard and dirty work, I paid my yard man an extra $40.00 and he and his helper came and whipped it out in less than 30 minutes. So then I planted 4 watermelons, 4 pumpkins and 2 bell pepper plants. I eagerly the sprouts. Doesn’t this look so much better and easier to garden? Try not to pay too much attention to the area between beds. I’m applying for grants and just trying in general to get the school to have that all redone. When the garden was originally done, the paths between beds should have been scraped down and gravel or something put down over landscape cloth. That wasn’t done, so we’re constantly battling grass. 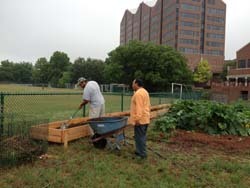 Here is the current status of the school community garden bed.